If you think your child has exceptional acting skills and you want their talent to be recognized, then apply for Vikings Season 5 casting call for child actors. The shooting will take place in Dublin, Ireland, and therefore you need to be a local to apply for the role. The casting directors are also looking for extras for some scenes that will be shot in Wicklow and Dublin. You can email your audition request if you fit the description below. Vikings is a T.V show based on historical genre. It is an Irish-Canadian show that comes on History channel. Michael Hirst is the one who has written and created this show. Its premier was first aired in Canada and the United States on 3rd March 2013. 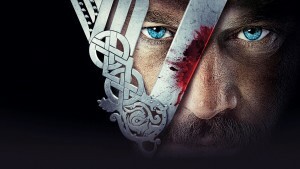 This show is inspired by Viking Ragnar Lothbrok sagas. It consists of myths and warriors of England. The story is based on the farmer called Ragnar who got fame by raiding France and England successfully, and end up becoming Scandinavian King with the help of warriors and his family. In March 2015, the show was renewed for 4th season, which extended to 20 episodes, and was premiered on 18th February 2016. The fifth season of Vikings of 20 episode was renewed on 17th March 2016. Below are the important casting call details. The vacant roles in the show are of an 18-month-old boy or girl. For the similar scene, two-year-old kids are also needed. The filming of the show will start from this week so apply as soon as possible. Be available on the shoot dates. Should live very to the shooting location i.e. Dublin/Wicklow. Ideally, it would be best if two of the kids were twins. However, being twins is not necessary. Only individuals who manage to get selected, and fit the eligibility criteria will be contacted.